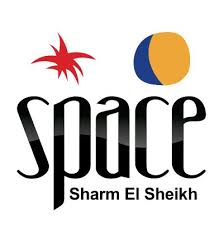 SPACE SHARM – No1 Club in the Middle East – Voted #36 in the Dj Mag Top 100 clubs poll in 2014. The Club spread over Three rooms designed completely different, being Two of them Outdoor and an Indoor lounge area. -The Terrace, framed within an organic style and decorated with natural elements including a 12 meter pool with a waterfall, a true feeling of being in an oasis. -El Salon, the inner room where you can breathe a genuine luxury all year round. -The Discoteca, this club’s real jewel, has a spectacular view from the Red Sea and the mountains to enjoy Egypt in its purest form with the best music from Ibiza. The Sound System has been developed especially for SPACE SHARM with Funktion one’s supreme quality. The Lighting System and laser show has been designed and produced by Baher & Maged, local talents who have also participated in the legendary Pyramids and the Sphinx at Giza’s lighting production.